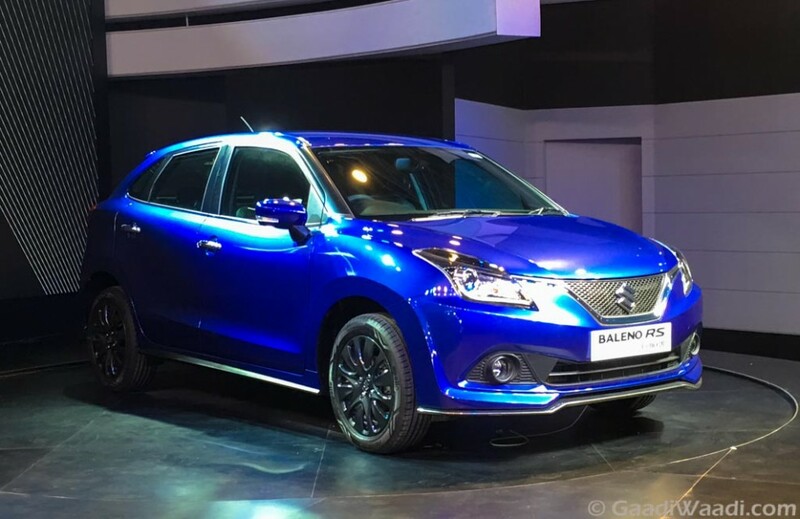 Maruti Suzuki has showcased the RS variant of its Baleno premium hatchback at the Auto Expo 2016 in its pavilion. 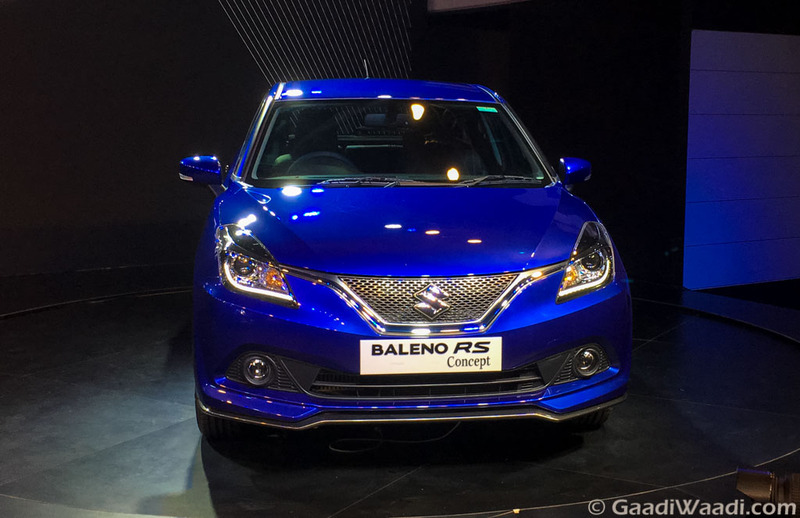 With a sportier design package and aggressive stance, the high performance Baleno RS concept is built on a new lightweight and flexible platform. More significantly, it gets powered by a 1.0-litre Boosterjet direct-injected turbo petrol engine. The 1.0-litre three-cylinder Boosterjet mill delivers a maximum power output of 110 bhp and 170 Nm of peak torque. 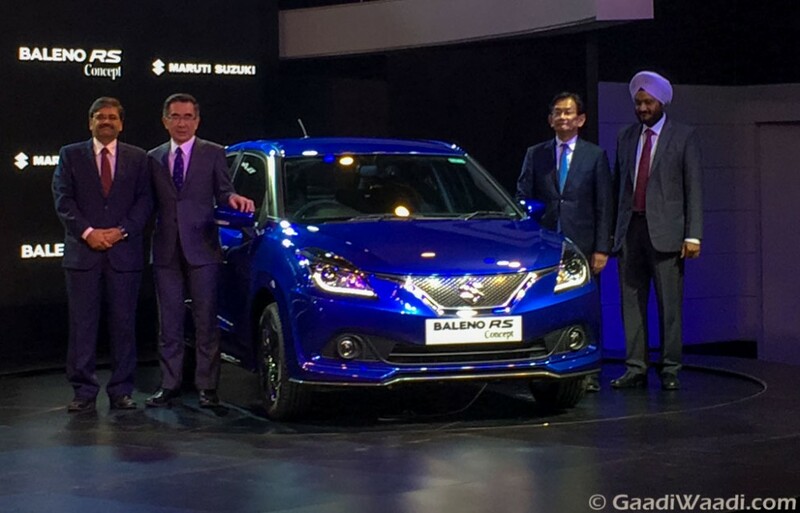 Maruti Suzuki manufactures the Baleno with a family of five engine at its Indian production facility and the 1,000cc Boosterjet powertrain is exported to international markets as well. The Indian manufacturer could introduce the 1.3-litre SHVS mild hybrid diesel engine producing 90 PS in the future RS variants as well. The Baleno RS concept could spawn a Baleno hot hatch which will go up against the Volkswagen Polo GT TSI. The VW comes with a 1.2-litre TSI petrol engine with 103 bhp power and 175 Nm torque mated to a seven-speed automatic transmission. The GT TSI is priced at Rs. 8.58 lakh(ex-showroom, Delhi) and returns a mileage of 16.47 kmpl. Another rival in the hot hatch segment will be the derived of Punto Evo, the performance-based Abarth Punto. The potent 1.4-litre T-jet turbo petrol engine pumps out a jaw-dropping 140 bhp and 200 Nm of peak torque coupled with a five-speed manual gearbox. It claims an impressive mileage of 16.3 kmpl and is offered at a price of Rs. 9.95 lakh (ex-showroom, Delhi).